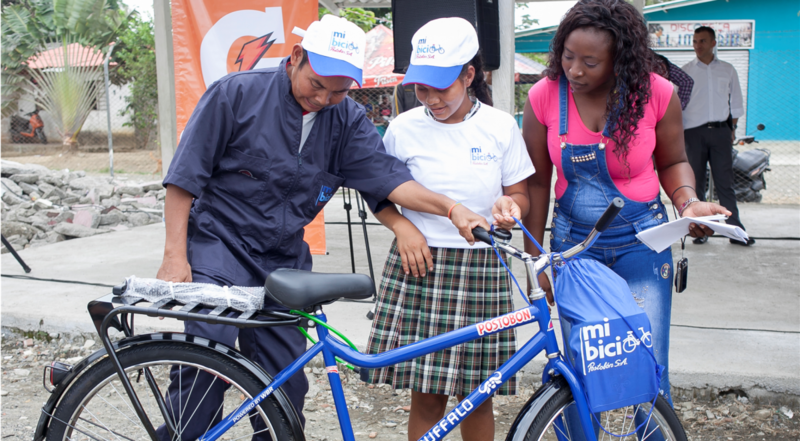 As part of G2C's efforts in providing children in Colombia with a shot at an education, we partnered with Uno Más Todos Postobon to take the Mi Bici initative to two schools in Magangué, Bolívar. 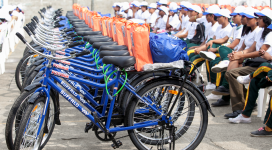 These schools had been among those benefitted by our "Water, Sanitation & Hygiene Promotion in Rural Schools" program where we installed bathrooms, implemented a teaching strategy, and created school boards that consists of students, parents, school staff, and community leaders. 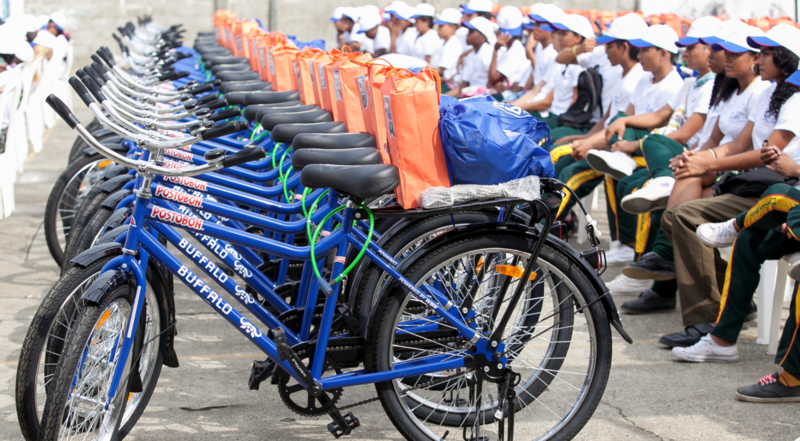 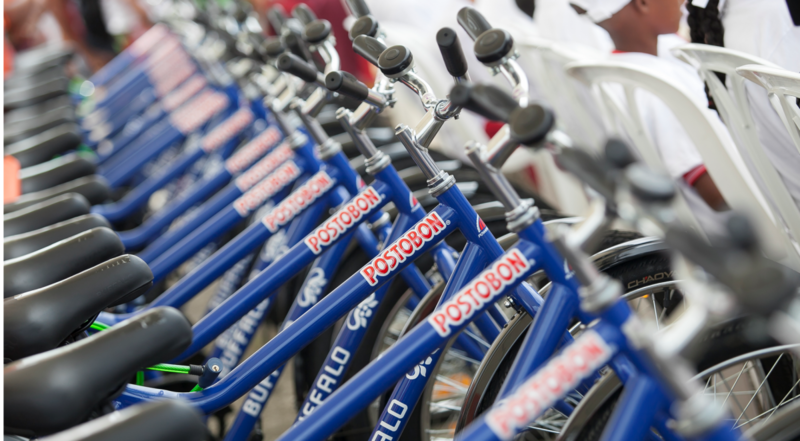 On October 30th, 78 students from the schools San Sebastián de Madrid and San Juan Bautista received bicycles that will help shorten the time it takes them to reach the schools and will decrease their likelihood of dropping out. 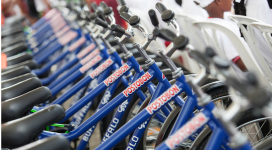 These bikes have been designed especially for rural areas in developing countries and will provide jobs for the community as mechanics are trained and bicycle service centers are set up. 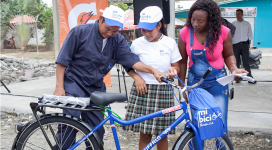 The event was led by renowned bicycle racer and long-time supporter of Give To Colombia and the Mi Bici initiative, Santiago Botero.